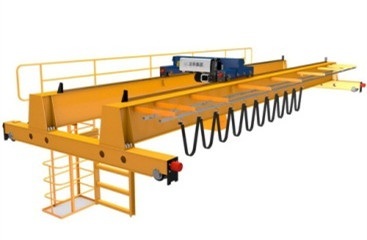 Single Girder Grab Crane is lightweight grab bridge crane supporting the use of grab trolley, divided into general type and hanging type, lifting mechanism is optional electric hoist grab. Applicable to tunnel, corridor, etc. and the places with small space, low height and limited conditions, widely used in railway stations, coal yard, warehouse, construction site, thermal power waste plant, biomass power generation coal washing, slag and many other industries. 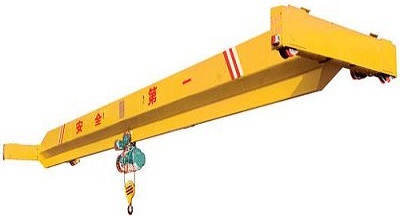 Single Girder Grab Crane mainly consists of the main beam, end beams, grab trolley, traveling mechanism and electric control system. Grab trolley is running automatically, economical light level grab for grabbing bulk and materials, mainly composed of electric hoist and grab, the two electric hoists respectively responsible for the lifting and the opening and closing of the grab. Working level is A4, crane power supply is three-phase AC, rated frequency of 50Hz or 60Hz. Rated voltage of 220V ~ 660V. 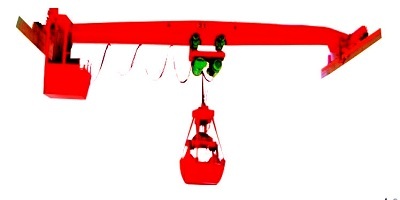 Crane operation mode includes ground operation, remote operation and cabin operation. 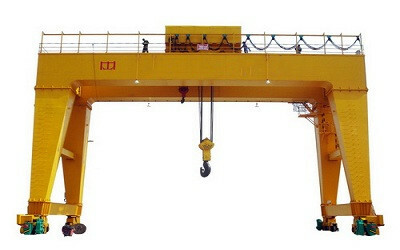 Crane traveling speed can also be designed dual speed, frequency control and other types. 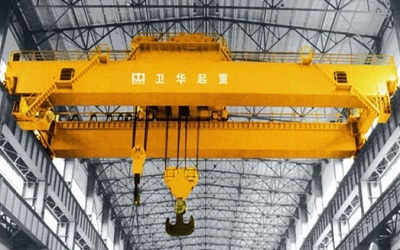 Single Girder Grab Crane’s girder, end beam, traveling mechanism, electronic control systems and safety devices are the same with Single Girder Overhead Crane and Electric Hoist Gantry Crane.